Redoubt Reporter file photos. Kenai Peninsula growers are finding high tunnels effective for Alaska-hardy produce as well as more exotic fare, such as corn and fruit trees. When people think about the economy of the Kenai Peninsula, it’s usually oil and gas, fishing, and maybe education, health care or government. But there’s a growing trend to add another sector to that list — farming. “These are not hobby farmers, these are hard-working folks. They are investing in infrastructure, they are buying equipment, they’re building storage, they’re building refrigeration for peonies, they’re putting up more high tunnels planting more. These folks are thinking ahead, and I think the rest of us should, as well,” said Heidi Chay, manager of the Kenai Soil and Water Conservation District, speaking at a Kenai Chamber of Commerce meeting Dec. 16. Commercial agriculture is typically thought of on a big scale, but the Kenai Peninsula is growing its own agricultural revolution, one small operation at a time. “Today the farms that are making headlines are the small farms under 10 acres, very likely under 5 acres,” Chay said. From 2007 to 2012, there was an 11 percent increase in the number of farms statewide, and a 62 percent increase in the number of farms selling direct to consumers. On the Kenai Peninsula, farm numbers increased 30 percent in that time frame, and direct-selling operations have increased 111 percent. A lot of that increase is due to high tunnels. The Kenai Peninsula has the highest number of high tunnels per capita in the country. Redoubt Reporter file photo. A sockeye salmon moves upstream toward spawning grounds in the Kenai River system. Though the sockeye run was strong this summer, the Kenai’s king salmon run was not, prompting fishery managers to restrict all king fishing in June and much of July. That included the Ninilchik Tribal Council’s community gillnet, which had been approved for use in the Kenai and Kasilof rivers. Though the net would have targeted sockeye, no subsistence fishing in the Kenai was allowed in the 2015 season to protect against any possible bycatch of kings, even after the river reopened to king fishing in July. The summer of 2015 was a tough one for many anglers on the Kenai River, with a conservation concern over king salmon prompting the Alaska Department of Fish and Game to close the river to king fishing throughout the June early run and for most of the July late run. When the ban was lifted July 24, as it looked like kings were reaching their optimum escapement goals after all, many happy anglers took to the river. But not residents of Ninilchik seeking their federal subsistence salmon harvest. They continued to sit high and dry. The Ninilchik Tribal Council contends that the federal government’s slow response and inefficient processes denied them their federally mandated subsistence salmon harvest in the Kenai River last summer, and nearly cost them their harvest in the Kasilof River, as well. The council filed suit Oct. 23 against representatives of the Federal Subsistence Board, the U.S. Department of Interior and the U.S. Department of Agriculture for failing to provide an opportunity for their members to conduct their subsistence harvest allotted to them by law under the Alaska National Interest Land Conservation Act. “The tribe is really trying to have their subsistence rights, which are guaranteed them by ANILCA, recognized so that they can fish and get allocations of salmon that they are under federal law entitled to. So the lawsuit itself is more of an injunctive case seeking to ensure that in this upcoming fishing season, in 2016, the tribe is able to do this,” said Anna Crary, co-council representing the tribe in the case, with Landye Bennett Blumstein law firm in Anchorage. The state of Alaska doesn’t recognize a rural-resident priority on fish and game resources, so the federally mandated subsistence programs are conducted on federally mandated lands and waters in the state. On the Kenai Peninsula, residents of Ninilchik, Cooper Landing and Hope qualify for federal subsistence harvests, and are allowed to conduct those activities on the Kenai National Wildlife Refuge. On the Kenai River, that puts them near the Russian River area. In the past, the Ninilchik residents have utilized hooks and bait or dip nets, but say those methods haven’t met their subsistence needs. In January, the Federal Subsistence Board approved the council’s request to operate a community gillnet in the Kenai and Kasilof rivers, over the objections of federal and state fishery managers who said the nets would be indiscriminate and could catch sensitive species — such as kings or trout — even though sockeye were to be the target. The federal subsistence fishing season runs from June 15 to Aug. 15. On May 27 the tribe submitted an operational plan for the community subsistence gillnet fisheries in the Kasilof and Kenai rivers, as it is required to do. On June 9, refuge in-season fishery manager Jeffry Anderson told the tribe he was preparing an emergency closure of the fishery to conserve the struggling early run kings. The closure was issued June 17. 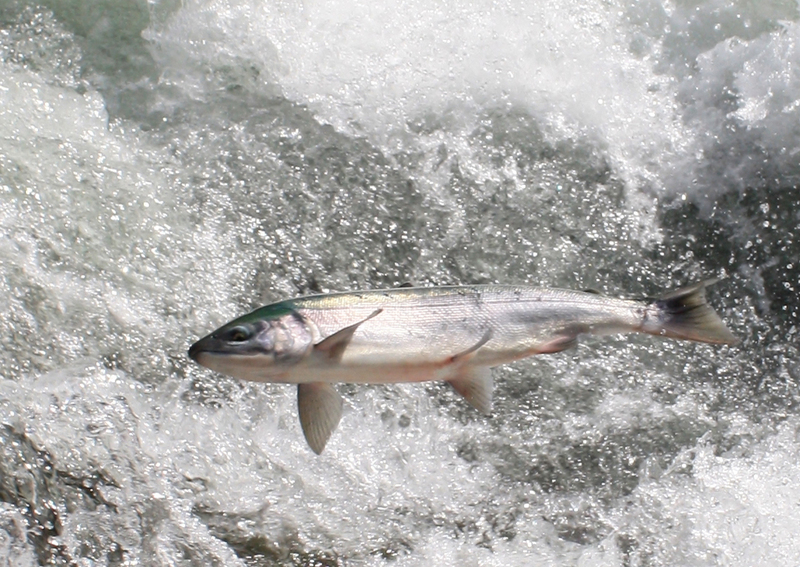 On June 30, the Kenai’s early king run met its optimal escapement goal. Both the refuge and Alaska Department of Fish and Game continued their fishing restrictions into July to protect the July late run of kings, as well. The conservation measure itself isn’t the source of the complaint, Crary said. “The fact that even when other sport fisheries were liberalized the subsistence fishery remained closed,” she said. A few areas of the Kenai Peninsula are returning to rural status in the eyes of the federal subsistence management program, which could allow residents access to federally managed hunting and fishing opportunities. Friday, the Federal Subsistence Board announced a change to the way rural vs. nonrural areas of Alaska are determined and the reversal of certain designations made in 2007. In the past, the Secretaries of Agriculture and the Interior determined rural status in Alaska and had to consider several factors — population, income and aggregation of communities — and the data was required to be reviewed every 10 years. The process was inefficient and didn’t take into account the vast differences between regions of Alaska, said Deborah Coble, subsistence outreach coordinator in Alaska, with the U.S. Fish and Wildlife Service. “It was so cumbersome on how to gather that data, which data to gather, and then, of course, the decennial review. So now the secretaries have allowed the Federal Subsistence Board to make the decisions for rural independently,” Coble said. As of Friday, that process has been scrapped. The new criteria by which those determinations are made has yet to be written, but the process, by design, is more inclusive. Instead of determining which areas of the state qualify as rural, the Federal Subsistence Board will now determine which areas are not rural. Everything not determined nonrural will be considered rural, unless specifically decided otherwise. On the Kenai Peninsula, Homer and its surrounding area — Anchor Point, Kachemak City and Fritz Creek — are designated nonrural. Kenai and its neighboring areas —Soldotna, Sterling, Nikiski, Salamatof, Kalifornsky, Kasilof and Clam Gulch — also are nonrural. The rural status of Ninilchik, Cooper Landing and Hope remains unchanged. But a few areas that were designated as nonrural in 2007 are returning to their rural status. On the central peninsula, an area to the north of Sterling is once again rural, and on the southern peninsula, the North Fork Road and Fritz Creek East areas are once again rural. The new criteria is expected to be drafted by January, but regardless of those specifics, the process itself is expected to involve more local input than the previous method. Without seeing what the new criteria will entail, Coble can’t say whether the determining factors in rural vs. nonrural designations will be tailored to the unique characteristics of each region to the state, but she said it’s possible. “The board is going to give deference to the regional advisory councils, the regional advisory councils seek information from the public within their region, and so each region could come up with something completely different. They’d push those recommendations to the board and what the board ultimately decides will happen in January,” she said. The decision to return rural status to pre-2007 boundaries goes into effect Dec. 19, unless significant adverse comment is received by the comment deadline of Dec. 4. The decision to place rural vs. nonrural designations in the hands of the Federal Subsistence Board became effective Nov. 4. Photo by Joseph Robertia, Redoubt Reporter. Ionia elder Eliza Eller provides instruction during a cooking class that was part of Healing Our Future, a workshop to exchange ideas revolving around diet and health. Obesity, diabetes and digestive issues are few of the numerous maladies that can result from dietary habits, and in Alaska, perhaps no cultural group is more susceptible than Natives. “Now in the grocery stores, there are potato chips, Coca-Cola, alcohol. It’s not at all like the foods from the world they’ve come from,” said Barry Creighton, who serves on the board of directors for Alaska Mental Health and Peninsula Community Health Services. Creighton also is an elder member of Ionia, a Kasilof community where members live by a different structure and sense of time than mainstream Americans, with a macrobiotic diet being a cornerstone of their approach. 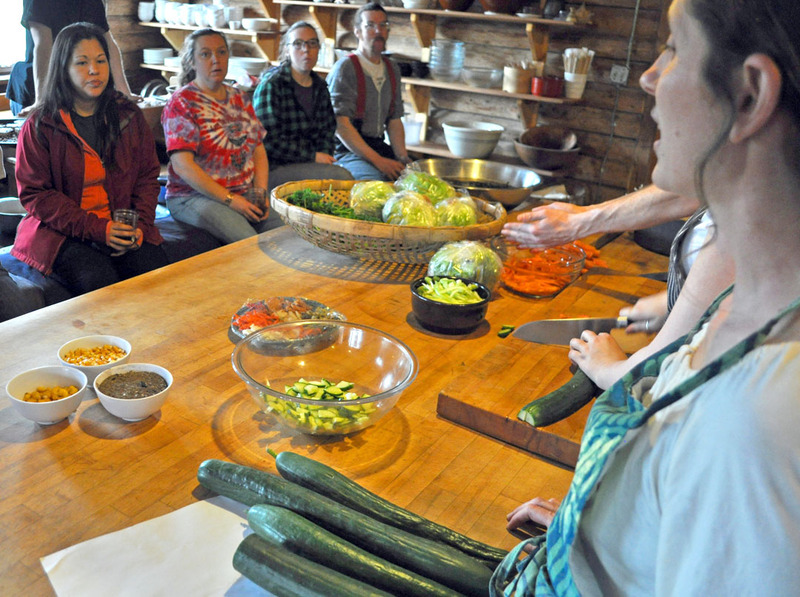 Ionia partnered with the Alaska Sobriety Movement to offer a Healing Our Future three-day workshop over the weekend to exchange ideas relating to diet as a cornerstone of health. “A lot of what we do has resonance with the Native world,” Creighton said, explaining a little about the Ionia lifestyle. Members begin their day by sitting in a circle, with all ages talking to each other, sometimes for more than two hours. “No subject is too mundane,” Creighton said. After 30 years of these daily, group-therapy-type meetings and sustained participation with the Alaska behavioral health system, Ionians have developed ways to address numerous forms of mental health illness as a community, he said. “This is what Natives have been doing for 6,000 years — the village, taking care of the family, taking care of the individual,” he said. Ionians also operate on a different perception of time. There are no clocks in Ionia, and members don’t feel compelled to adhere to strict schedules. “I’ll talk to someone for 24 hours if they need it,” Creighton said. Diet also sets Ionians apart from the convenience-focused approach of eating fast food, highly refined and processed ingredients, and egregious amounts of sugar and salt. “For some people, it’d be easier to change their religion than change how they eat,” Creighton said. 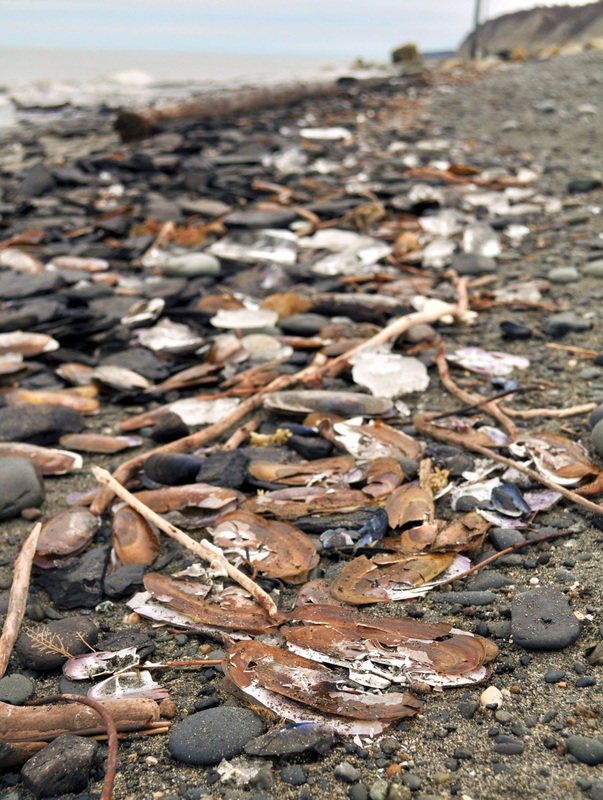 Clam shells litter the Ninilchik beach following a winter storm in 2010 that resulted in a massive die-off of razor clams. The Alaska Department of Fish and Game last week issued an emergency order closing all harvest of razors on the east-side beaches of Cook Inlet this year, in order to give the struggling clam population a chance to rebound. For such mysterious creatures, encased in shells and living buried in the sand, biologists actually have quite a bit of data about razor clams in Cook Inlet. “The department has been estimating harvest and effort on these beaches since the 1970s and estimating the clams per digger since then, as well,” said Carol Kerkvliet, Alaska Department of Fish and Game assistant area management biologist for the Division of Sport Fish, based in Homer. Biologists monitor the harvest of razor clams, a popular summer subsistence activity along Cook Inlet’s eastern shore, as well as the effort, measured in days harvesting, put in by clam diggers. They track the size and age of clams. And at the most popular clamming beaches, especially at Ninilchik, they conduct periodic estimates of abundance. So they know that razors on east-side beaches are struggling, leading to a decision to enact harvest restrictions this year to give the clam population a chance to dig itself out of its population slump. On Feb. 24, the department issued an emergency order closing east-side beaches to clamming, from the mouth of the Kenai River to the tip of the Homer Spit, effective from March 1 through the end of 2015. Clamming on the west side of Cook Inlet, however, remains open. Kerkvliet said that two factors contributed to the decision to close the east-side harvest of razors — fewer age classes of clams on the beach, smaller clams, and a higher mortality of the clams that are present. “What we’re seeing on the beaches right now is a low number of razor clams recruiting to the beaches. (And) once they recruit to the beaches and grow to mature size that they’re just not as long,” she said. Photo by Joseph Robertia, Redoubt Reporter. Saskia Esslinger, of Anchorage, her husband and infant son took part in the Alaska Food Challenge to eat local for an entire year, and shared her experiences during the Harvest Moon Local Foods Week. Eating a banana for breakfast is a relatively new phenomenon, at least in Alaska. For thousands of years Native Americans, followed by explorers and traders, followed by homesteaders, made up the bulk of their diet from what they could grow, catch, hunt and trade. In more modern times, the types of foods consumed are not so limited, but eating a tropically grown banana in Alaska means a lot of resources were used to get the fruit this far north. But not everyone believes this type of eating is environmentally friendly or ecologically sustainable. “There is a misconception that Alaska can’t support its own food needs,” said Saskia Esslinger, of Anchorage, who, along with her husband and infant son, took part in the Alaska Food Challenge to eat local for an entire year. She presented her experiences last week at several venues on the central Kenai Peninsula as part of the Harvest Moon Local Foods Week. Esslinger is not entirely new to the concept of being “green.” She has a bachelor’s degree in environmental science and a master’s in regenerative entrepreneurship from Gaia University. 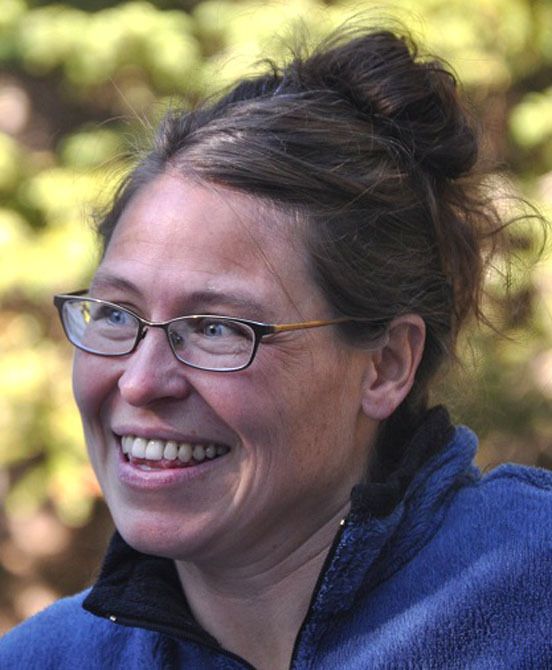 She was certified in permaculture design in 2004 and as a permaculture teacher in 2010. Most recently she founded the Williams Street Farmhouse in Anchorage, where much of the food for her challenge was grown. “People think you need 5 acres to grow enough to sustain yourself and your family, but that’s not the case,” she said. Esslinger and her family transformed a few hundred square feet of lawn in an urban neighborhood into their garden. She said that this was a great way to start saving money, since lawns — with a need of water, fertilizers and mowing — use a lot of resources and give little back, while a garden could be used to grow food, rather than grass. Esslinger and her family grew a variety of crops, including rhubarb, cabbage, cucumbers, kale and other greens, zucchini and other gourds, and carrots, potatoes and other root crops. They also grew a variety of herbs to use in the dishes they would be eating for the next year. “The total harvest was 1,622 pounds,” Esslinger said. Photos courtesy of Sarah Donchi, Kenai Feed. 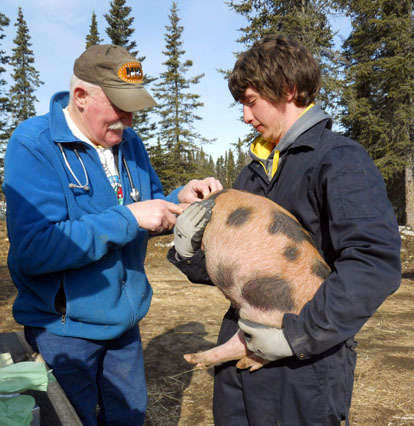 Ben Miller holds a pig for Dr. Jerry Nybakken to examine at Kenai Feed last week. There’s something about the smell of eggs cooking in a skillet first thing in the morning, and if recent sales of chicks are any indication, there are a growing number of people who prefer the taste of farm-fresh eggs versus store-bought. “We got in 700 today alone, and over the course of the season we’ll go through around 8,000 from March to June,” said Dianna Taplin, owner of Cad-Re Feed and Grandma’s Cupboard in Soldotna. It’s not just about taste preferences, though. According to Taplin, there are many reasons the chicken-raising business is starting to boom. For some it’s about getting a meat product free of hormones, antibiotics and chemicals. For others it’s part of teaching their kids about raising fowl, and for still others it’s about being prepared for any number of situations that could cause a disruption to the local grocery store food supply. “It’s really exploded the last five years. We saw a slight dip a few years ago when Soldotna changed its zoning laws, but otherwise it’s been steadily growing. I think when people saw the economy tanking and us living so far north, it really kicked people wanting to become self-sufficient into overdrive,” she said. There are two divisions of chicken — meat chickens, which are bought to be raised and butchered for food, and laying chickens, which are bought to be raised to produce eggs. “We have two varieties of meat chickens and we carry about 20 breeds of layers because everyone has their favorite. The top is the Rhode Island Red — that’s the biggest seller each year. We also carry a few varieties of ornamentals and rare-breed chickens for those who just want something cute, or to eat bugs or stir up the garden,” Taplin said. So many chicks in the store — requiring scratch, water, warmth under a heat lamp and almost constant cleaning — requires a lot of planning and preparation. “I have three chicken managers, I’ve designed a program to keep up with the customers and the hatcheries, and I keep at least eight books of preorders,” Taplin said. Transportation of the chicks from the farms to the store is the most nerve-racking aspect. The baby birds can’t survive long without food and warmth, so even an interruption as brief as a plane being delayed in Anchorage for a day can have disastrous results. “Getting them here safely is the hardest part, and it’s been better since the post office made changes to get them here in two days. Now the hard part is when 700 to 800 come in, and there are still others here that haven’t been picked up,” she said.